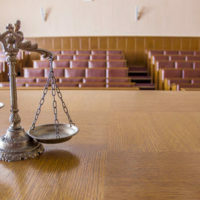 As highlighted by a recent article in Staten Island Real-Time News, criminal defendants who go to trial usually have to choose between being judged by a jury of their peers or by a judge. Most rightfully choose a jury of their peers, as the collective wisdom of 12 individuals randomly selected from the population typically carries a higher chance of providing justice for the defendant than the decision of one person. However, there are some circumstances where a bench trial is preferable (although they are arguably few and far between). All 12 jurors must agree unanimously in criminal trials; if one disagrees, the panel can become deadlocked, and the judge declares a mistrial. Prosecutors then typically either decide to retry the case, drop the charges altogether, or work out a plea agreement with the defendant. If a prosecutor chooses to retry a case, that case has arguably already been affected by each witness already testifying and a defendant potentially having more leverage in plea negotiations. Juries also often sympathize with the emotional element of a defendant’s story or, conversely, with the ‘named’ victim in the case. In those circumstances, experienced criminal defense attorneys will sometimes advise criminal defendants to instead elect a bench trial, where the case is presented directly to a judge. In most states, defendants receive jury trials unless they specifically request a bench trial. Under some circumstances, it might be in a defendant’s best interest to have a judge review the evidence instead of jurors. Bench trials are sometimes preferable when the current political climate weighs against the particular circumstances surrounding a defendant’s case, or in cases involving particularly complex issues in the law; issues that perhaps only a judge could properly decipher. However, the bench trial option needs to be carefully thought out, as bench trials can sometimes rob a criminal defendant of the justice that a jury, instead, would provide. When the most serious charge is a misdemeanor and the defendant is 18 years or younger, the court must impose a youthful offender adjudication instead. If you or a loved one has been charged with a crime, it is imperative that you speak with an experienced criminal defense attorney right away. From the moment you are suspected or accused, you want to ensure that you work with those who are experienced in ensuring you receive justice. People who represent themselves are sometimes advised to opt for a bench trial because it is supposedly too complicated to choose a jury. This is a dangerous path to take, and can subvert justice for a criminal defendant. Criminal defense attorney Phillip J. Murphy has been representing clients throughout New Jersey and New York for over 25 years. Contact our office today for a free consultation and we can discuss your options.